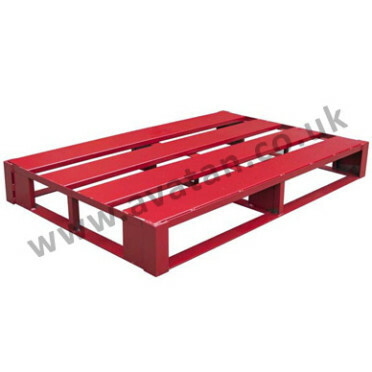 Flat steel pallets are offered to suit most heavy duty storage needs. 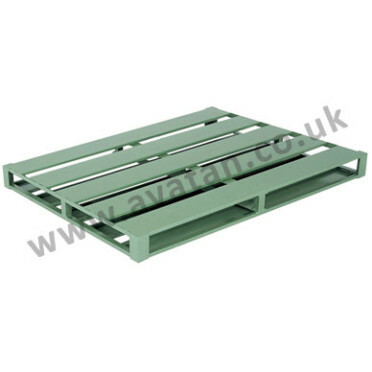 Offered in a variety of sizes, steel pallets and stillages may be supplied reversible or single sided with fork lift entry on two or four sides. Also suitable for storage within pallet racking, steel pallets are durable and cost effective and if properly handled are likely to considerably outlast timber and plastic pallets. 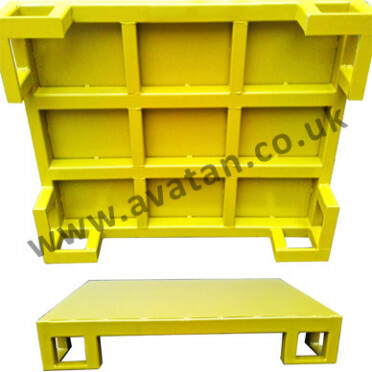 Lifting accessories may be added to the steel pallets enabling them to be crane lifted and Avatan offer load testing and certification of steel pallets where appropriate.